USB Safely Remove 4.5 released! We are happy to announce the availability of USB Safely Remove 4.5! In this version we have added several small but frequently requested improvements such as the ability to save\restore program settings, the option to automatically close autorun processes and we significantly improved the device icon library. Download the version 4.5 right now or read further about the new features below. Submitted by Sajjad1 (not verified) on Fri, 01/28/2011 - 15:46. I like this software . It,s using is very useful. thanx for this software. Submitted by anonymous (not verified) on Fri, 01/28/2011 - 19:15. Submitted by IgorSR on Fri, 01/28/2011 - 22:29. Submitted by Rafel (not verified) on Wed, 02/02/2011 - 22:14. I'm USB Safely remove and if i'd prefer a more informative menu, i'd move to Zentimo. I prefer this more simple program becuse is all i need. Submitted by AOKS Thyyoub Ali (not verified) on Sat, 01/29/2011 - 21:22. Submitted by IgorSR on Sun, 01/30/2011 - 14:37. Submitted by Ahmad Amil (not verified) on Mon, 01/31/2011 - 05:04. Submitted by anonymous (not verified) on Mon, 01/31/2011 - 10:07. Updates available, yes update my software, progress bar shows up. download. Installer starts in the background. Window, update complete. Submitted by IgorSR on Tue, 02/01/2011 - 03:52. Yes, that's a great idea and we will definitely implement it in one of the closest versions. Submitted by anonymous (not verified) on Mon, 01/31/2011 - 10:14. CD\DVD\BD drive shown in menu, clicking these devices opts an eject of the media inserted. Submitted by IgorSR on Tue, 02/01/2011 - 03:57. This feature has already been implemented in Zentimo: if you enable option "Display all storage devices" it will show all your CD\DVD\DBD drives as well and let you eject them. 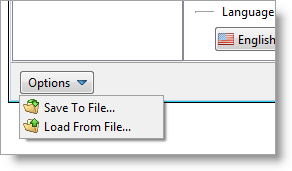 In USB Safely Remove we probably will not implement this feature since the requested feature doesn't relate to the main purpose of the program. Submitted by bhong formon (not verified) on Tue, 02/01/2011 - 12:38.
great software for easier access the device to look up when it the comes to the installed devices to your computer. Submitted by riannair (not verified) on Fri, 02/04/2011 - 05:23. I not change to "Zentimo"
Submitted by CRHC (not verified) on Fri, 02/04/2011 - 14:45. I not change to "Zentimo" because I prefer the name "USB Safely Remove". Why not better to incorporate the new features of "Zentimo" in "USB Safely Remove 5" for example. The name "USB Safely Remove" is good and describes the function of the program. Submitted by CRHC (not verified) on Fri, 02/04/2011 - 14:55. Submitted by VinceW (not verified) on Thu, 02/10/2011 - 13:22. I second the suggestion for auto-update. Downloading from website is cumbersome. Submitted by michael miller (not verified) on Wed, 02/23/2011 - 02:42. Submitted by Enterprise Guy (not verified) on Thu, 02/24/2011 - 07:08. I'm a big fan of the USB Safely Remove program. But could you PLEASE add an option to install for ALL USERS instead of PER USER. I deploy this to many machines through System Center Configuration Manager and I have to write an elaborate series of script, some that execute under the "System" space and some that execute under the "User" space. It would really fabulous to have an option that is all System and HKey_Local_Machine settings so that it is setup for any and all users with the same settings and can be easily pushed. Submitted by IgorSR on Mon, 02/28/2011 - 18:00. Yes, this is indefinitely a must have feature and we will probably add it in the next version. Submitted by ANONYMOUS (not verified) on Fri, 02/25/2011 - 17:40. I'm having nothing but repeated problems with my "bought" version of usb safely remove. i like the idea of having a program like this to better feature and handle certain devices that you frequently have to plug "in" and plug "out"; but "why" i'm having sooo much trouble, i do not know. and then when it "hangs", it will not stop & cannot be stopped and/or removed when i use windows task manager to remove/stop it. just a few minutes ago, it hung again, and though i kept trying to stop and/or remove it by repeatedly clicking "end task", it just will not stop or remove. so i go to the processes tab and try to kill the usbsafelyremove.exe process, and "still", it will not remove, or stop or respond! whenever i get any kind of program, process, service, etc., that's running in any of hese areas and it stimply will "not" stop or remove? it's at "these" times -- it's then when i'm seriously trying to get the thing to !stop! - that i become extremely suspicious that perhaps somewhere, in the program itself, is a small program routine or a "hidden" rogue file or program - a piece of spyware or malware, that's preventing me and thus microsoft's task manager, from carrying out my request, which is subservient to its' "secondary" duties. a program that won't quit & only locks up really raises my suspicions. i hope a slightly newer version that i'm getting ready to install now, will fix the problem, but i seriously doubt it. Submitted by Lenin (not verified) on Tue, 03/01/2011 - 17:01. Submitted by CRHC (not verified) on Wed, 03/02/2011 - 07:59. Si la PC te reconoce la USB intenta recuperar la información con Recuva. Y si no, puede que tus puertos USB tengan falso contacto y te hayan estropeado tus USB (prácticamente sin remedio) en ese caso lleva tu PC a servicio técnico para que revisen tus puertos y que no te vuelva a suceder. Siempre trata de mantener un backup de los archivos en tus USB.